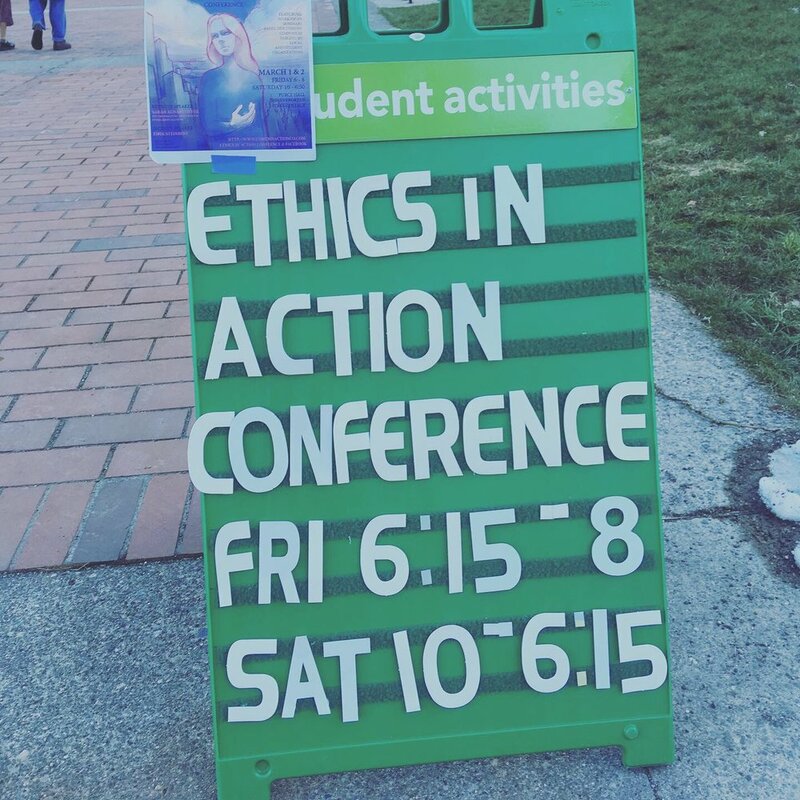 Last week I had the distinct honor of delivering the keynote talk at the 2019 Ethics in Action Conference at at my alma mater The Evergreen State College. The students who invited me to speak at Evergreen organized the entire conference of their own volition, outside of formal responsibilities to their individual courses or studies, driven by a desire to engage in meaningful conversation about the question “How do we create the world we wish to live in?” I was excited to participate in this conference after a month of really difficult news on the nuclear front. Early 2019 saw Trump’s administration announce production of new “low-yield” American nuclear weapons, declare their intentions to withdraw the United States from the Intermediate Range Nuclear Forces Treaty with Russia, and drop demands for full accounting of North Korea’s nuclear program ahead of Trump’s meeting with Kim Jong Un. [I] All of these developments point toward the resumption of uranium extraction, plutonium production, weapons development and testing, and the expansive production of nuclear waste. These news items are only a few of the most recent reasons I feel called to put my own ethics into action; my work is driven by the stories people have shared with me about the impacts of life in radiogenic communities. The Ethics in Action conference is a space for curious and critical minds to engage with what ethics means to them personally, as a society, and how we can incorporate ethics into our daily lives. Our key question is: “How do we create the world we wish to live in?” We ask this question because we want to look at both ethical theory, where ideas emerge, and action, which puts those ideas into practice. The conference will consist of speakers, a symposium, and workshops. Students, faculty, grassroots activists and community members are invited to present on their particular ethical inquiries and practices. We hope that through collaboration and discourse, participants may feel empowered as ethical agents to act collaboratively in order create the world they wish to live in.. The following day, student organizers put on a series of breakout sessions, including a harm reduction workshop, a panel discussion on incarceration, education, and recidivism, a workshop on addressing homelessness, a workshop on rethinking disability, an anti-oppression workshop at the intersections of domestic and sexual violence, and a transformative justice ethics workshop. They hosted over a dozen local organizations for a tabling session, and then offered two sessions of papers examining varied and provocative ethical questions, contributed by students and community activists. I commend each of the extraordinary organizers and participants for their dedication, labor, vision, and robust contributions to this vital conversation. I am inspired by their questions, their passion, and their commitment to co-creating a more just and sustainable world. [i]Aaron Mehta, “Trump’s new nuclear weapon has entered production, Defense News (28 January 2019) at https://www.defensenews.com/smr/nuclear-arsenal/2019/01/28/trumps-new-nuclear-weapon-has-entered-production/(accessed 12 February 2019) and Julian Borger, “Donald Trump confirms US withdrawal from INF INF nuclear treaty,” The Guardian(1 February 2019) “https://www.theguardian.com/world/2019/feb/01/inf-donald-trump-confirms-us-withdrawal-nuclear-treaty, (accessed 10 February 2019).